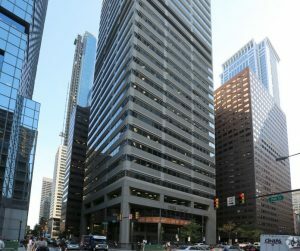 Aramark, a food service, facilities and uniform services provider, signed a 15,857-square-foot lease at Nightingale Properties’ and Carlton Associates’ Class A office tower in Philadelphia, according to CoStar Research. The 686,503-square-foot, 29-story structure at 1835 Market Street was built in 1986 and renovated in 1997. The 4-Star property spans nearly an acre less than two blocks from the 19th Street light rail station.